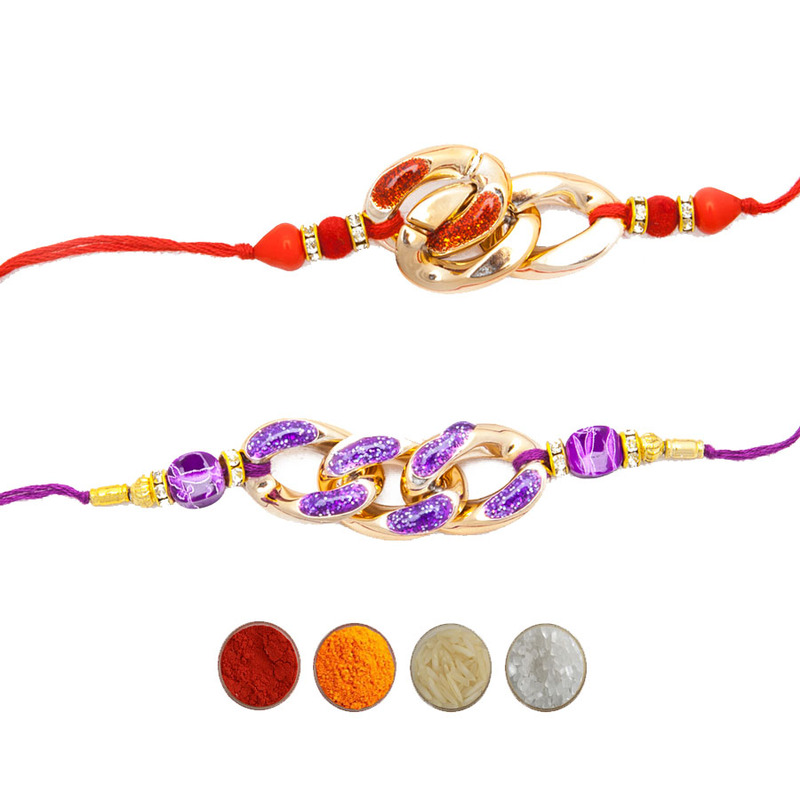 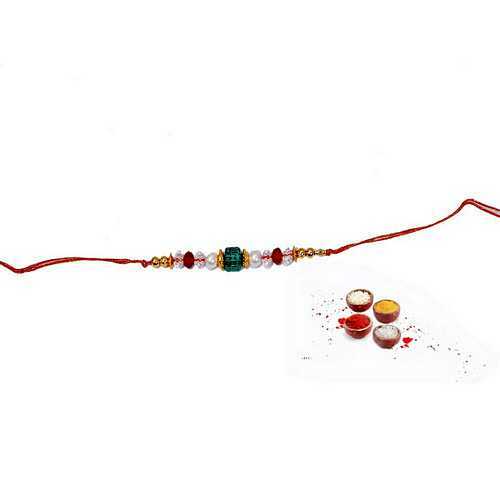 It is a fancy rakhi in Resham thread. 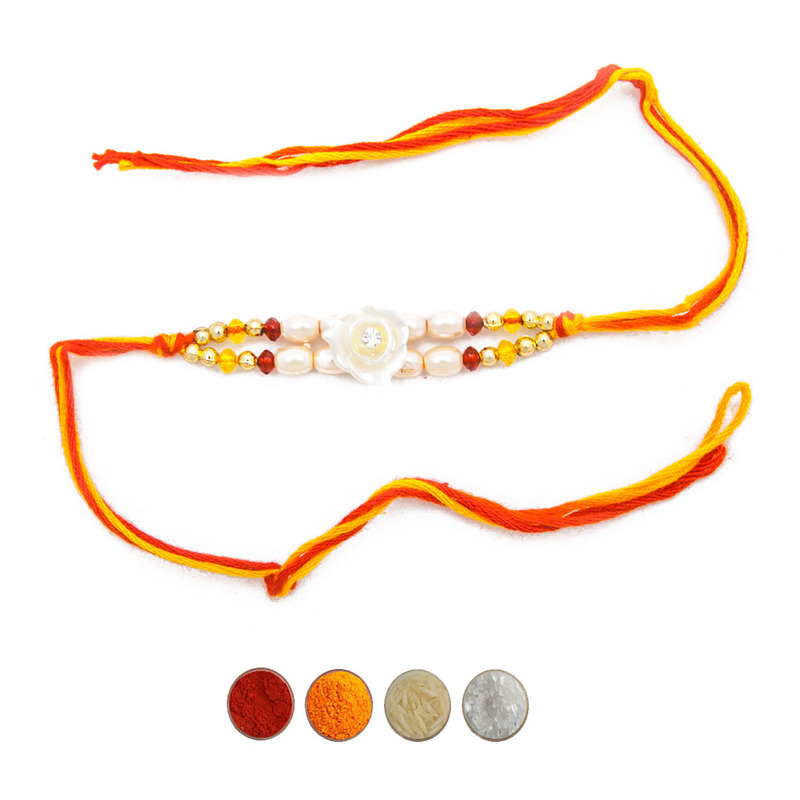 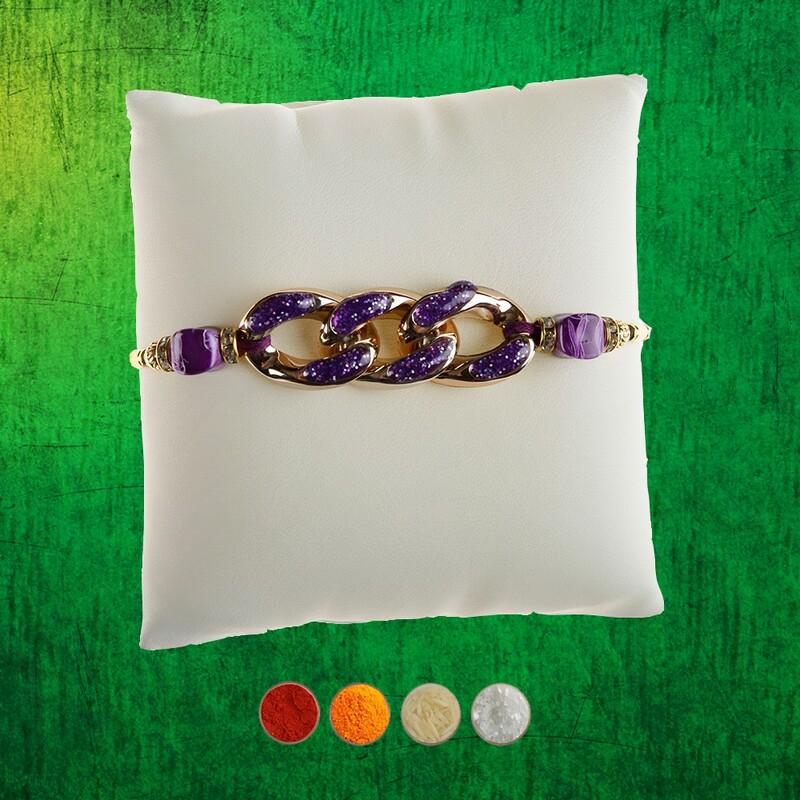 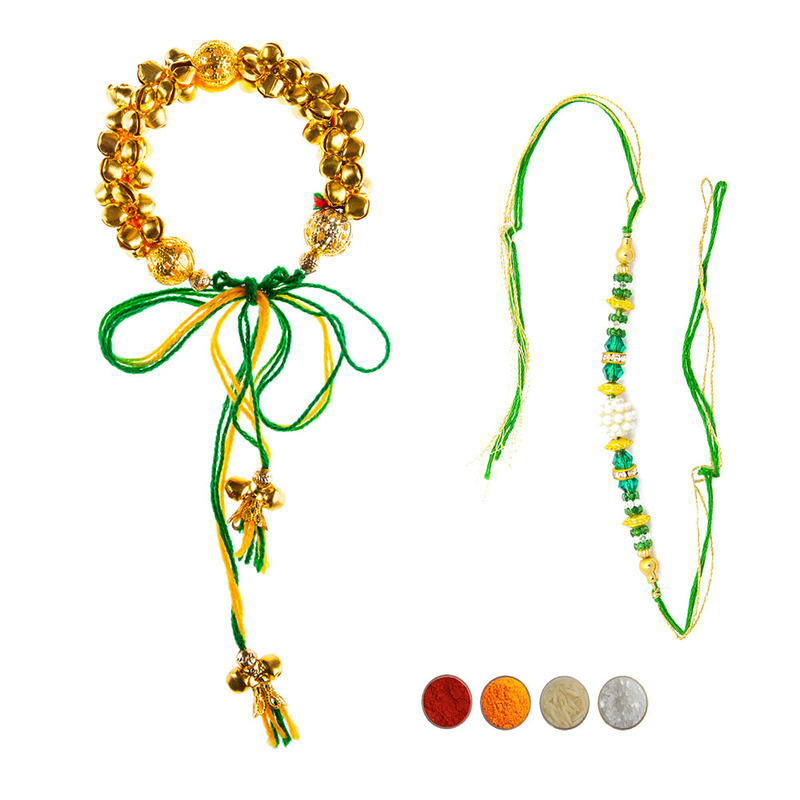 It has golden, crystal clear and multicolor beads; and stunning white pearls. 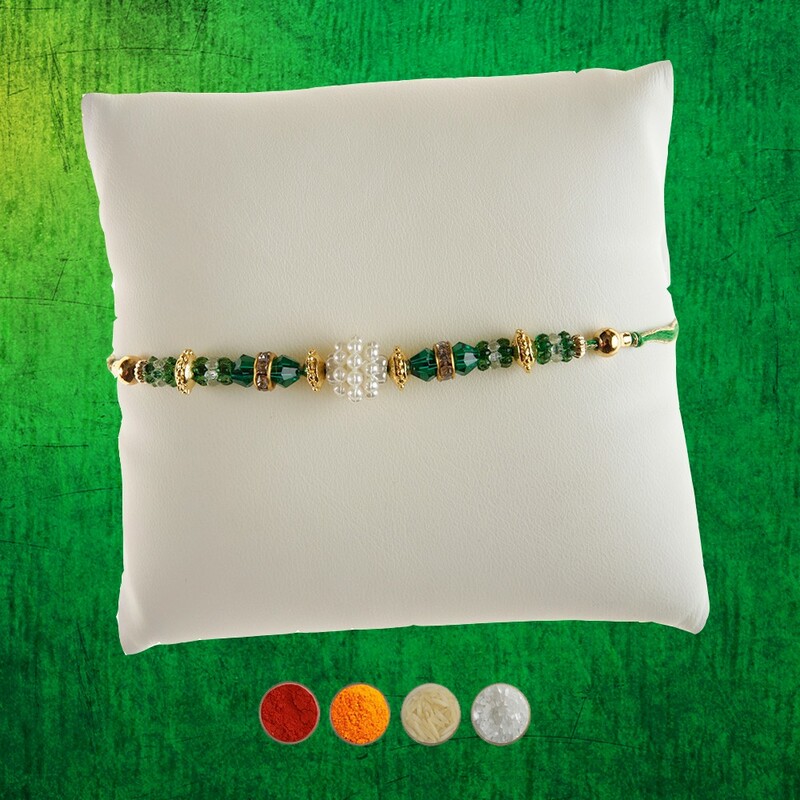 Complimentary Chawal, Roli, Chandan & Mishri.